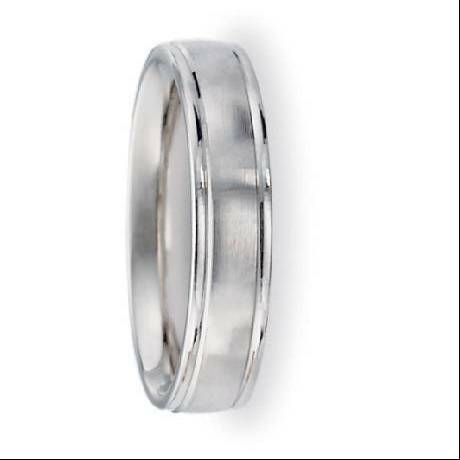 This gorgeous palladium wedding band was made to meet the most discerning tastes. 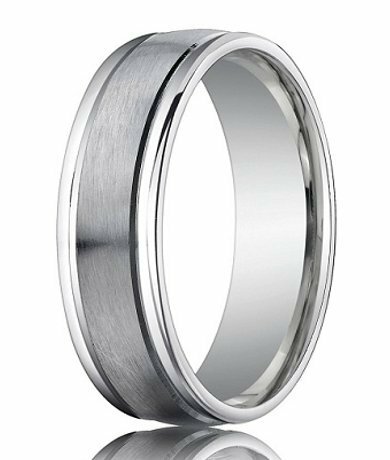 With a polished raised edge on each side, it has a spun satin finish on the face; it is one of our most popular palladium rings. 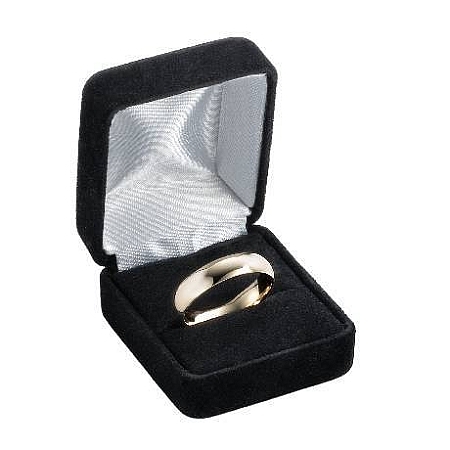 This ring is 4 mm wide and has a Comfort-fit design on the inside, making it comfortable enough to wear all day long. Comes with our Lifetime Guarantee! Comfort-fit rings should be ordered 1/2 size smaller!